Group sales (including the continuing trend of multigenerational family travel) can provide a great way for you to substantially increase your income. And, the right industry partners can help you break into the market, simplify what may seem like an arduous process and optimize your chances for success. 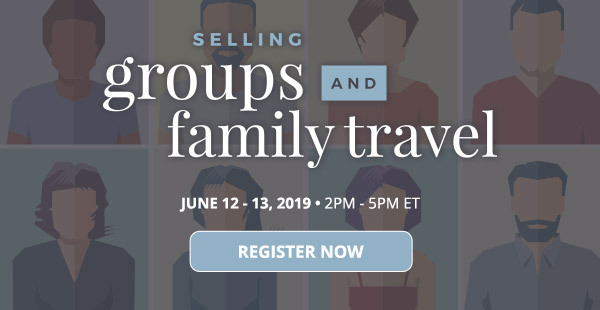 Don't miss the Selling Groups & Family Travel Expo, where you'll have the opportunity to chat with representatives from destinations and key suppliers. You will come away with the knowledge and connections you need to drive bookings and succeed in this lucrative niche market.